Did you mama teach you the importance of following the rules? John Eagle Collision Center had some bad parenting. 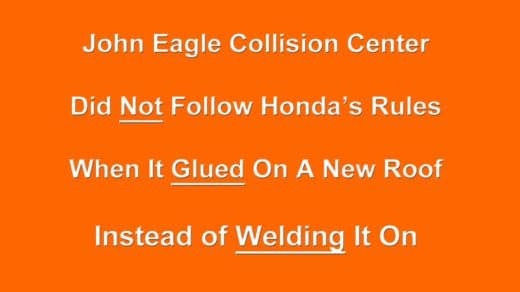 They used GLUE to replace a roof when Honda’s rules said WELD it on.